Might and Power was a bay champion that was born in 1993 at Windsor Park Stud. He was bred in New Zealand but was owned by an Australian. He dam was an Irish mare named Benediction and his sire was Zabeel, who was a rather impressive racehorse himself. Zabeel produced a long line of winners including Might and Power. Might and Power truly lived up to his name and built up a reputation as the comeback kid, making a return after an absence and gaining massive wins. 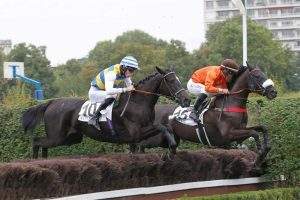 He started racing at the age of two and managed to secure his first victory in July 1996 during his three year old season. After this success, he stunned everyone by winning two races in succession at Canterbury, something that very few horses had done before. From there, punters and bookies began to notice bay, and his odds began to climb. In the years between 1997 and 1998 Might and Power gained a second place to Galactic Valley in the Tramway Handicap. After that, a Jockey Named Jim Cassidy, a New Zealand native, got the ride on Might and Power. Jim Cassidy ended up winning the Melbourne Cup twice, once on Might and Power, and the Austrian Derby three times thus making him the perfect jockey to guide a champion racehorse to victory. Might and Power became a firm favourite with those who enjoyed horse racing betting and he was quickly added as a short-priced favourite. He had a number of pivotal moments in his racing career delivering some surprising performances and was known for running hard when needed. 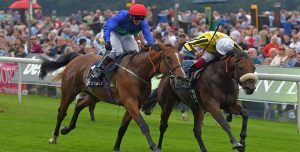 Might and Power carried up to 56kg’s of weights over distances in excess of 3200 meters, and winning back to back races. 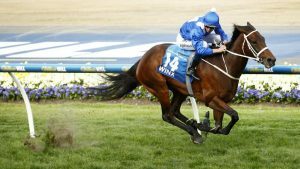 After these amazing victories, Might and Power suffered a minor injury and was forced to miss out on the Australian Cup. The injury soon healed and before long he set a record at the Mercedes Classic. Following this amazing comeback, Might and Power was again proving himself to be a champion and displayed brilliant form. He went on to win the AJC Queen Elizabeth Stakes and the Doomben Cup, becoming a legend in Australia. 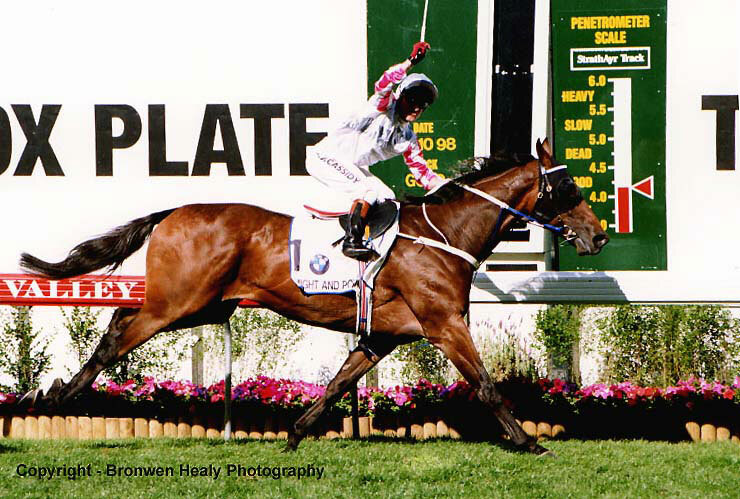 Might and Power was named Australian Horse of the year in 1998 and again in 1999, making him one of the most remembered thoroughbred horses of recent times. Might and Power definitely went down as a formidable competitor in the racing industry and with the help of jockey Jim Cassidy he left a legacy that will not be easily surpassed by many other racehorses of our time.